Comedian, artist and reality TV star Idris Sultan recently rubbed shoulders with Uganda's popular Comedian Patrick Salvado. 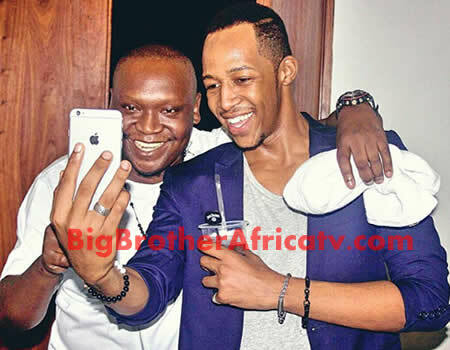 The two comedians were pleased with the fact that they had finally linked up and because he's a man of selfies, the Big Brother Africa winner didn't hesitate taking a selfie with the big man from Uganda. Well we just hope they can work on something together in future..